Billy shares his thoughts on street art, the artists that have transformed Chicago and how Galerie F came to be! 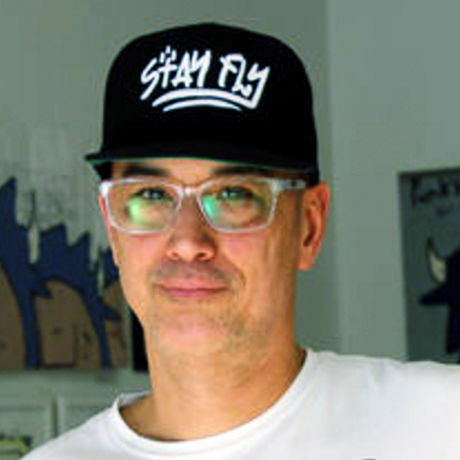 Our chapter’s Photo Lead Chris Gallevo has an on-stage one-on-one talk with Billy to hear his perspective on the evolving culture that surrounds street art in Chicago. In this conversations, he gives an inside view of what it’s like to work closely with artists through his work with Galerie F and helps our community better understand the significance of street art within the city and beyond.CreativeMornings/Chicago is hosted & organized by Jen Marquez Ginn and coordinated by Marlene Paez. Video by Alejandro Moore, Chris Mendoza, and Amy Ginn.Follow along with us at @Chicago_CM! Billy Craven is an active practicing artist living and working in Chicago. His artistic inclinations lean towards fine art and gig posters featuring vintage photography and clippings. Cyclism, skateboarding, and politics are common themes that drive his printmaking aesthetics. Billy Craven has long interacted with the world of street art and graffiti through his photography. With Craven as owner, contemporary street art plays a vital role at Galerie F. Hosting a wide range of international street artists in solo and group shows, Craven wishes to blur the lines of fine and street art with Galerie F as the vehicle.